I got the idea of making a Wonder Jar from 5th Grade Rocks 5th Grade Rules. 5th Grade Rocks got inspired by one of my favorite kid sites, Wonderopolis (which I discovered over at Literacy Shed), and had students research something they wondered for a writing station activity. I love this idea! Plus, she has a freebie for the activity! 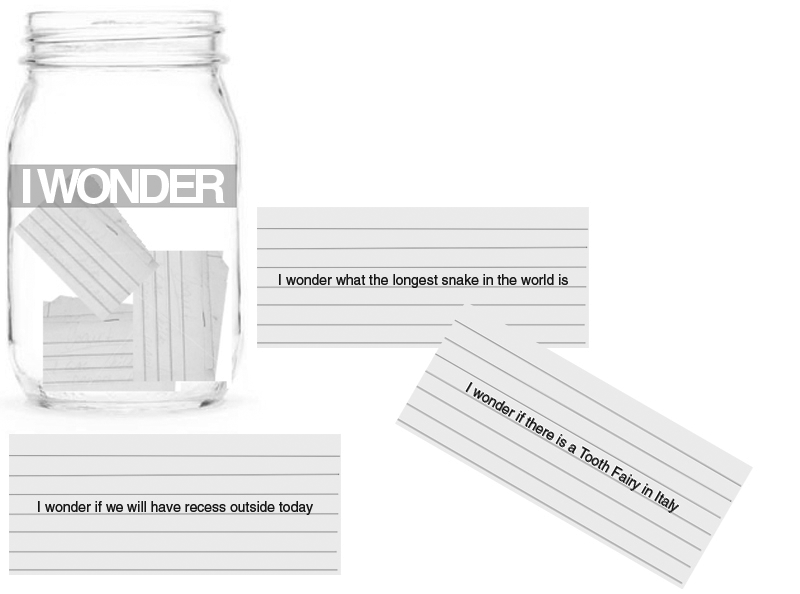 I decided to make a Wonder Jar for kids to place their "wonders." First, introduce Wonderopolis to your students. Then, have them come up with wonders and put them in the Wonder Jar. Pull one wonder out each week. Have the students write what they think is the answer, before researching it. Then, have them work together and find the actual answer to the wonder.